Are we loosing or winning the Battle against diseases? 1. The Scientific facts and statistics about the health approach that we have been using in the last 100 years in treating diseases. 2. Does this health approach work or not? 3. Is there any other alternative approaches to health? The two leading causes of death from cardiovascular disease are ischaemic heart disease and cerebrovascular disease (stroke). Over the last three decades, ischaemic heart disease has been the leading cause of cardiovascular death for men and women. In 2000, it accounted for 59% of men’s deaths and 48% of women’s deaths from cardiovascular disease. Stroke was the second most common cause of cardiovascular death since 1968, accounting for 21% of men’s and 28% of women’s deaths from cardiovascular disease in 2000. Throughout most of the 20th century, women were more likely to die from stroke than men. This pattern was reversed by 1968. Between 1968 and 2000, the male death rate fell from 184 to 54 deaths per 100,000, while the female rate fell from 168 to 48 deaths per 100,000. This represents a fall of 71% for both men and women over the period. 1. “Despite exciting advances, the report shows that we cannot treat our way out of the cancer problem”. On the other side statistic shows in Australia the number of new cases of cancer diagnosed increased from 47,417 in 1982 to 118,711 in 2011. Over the same period, the age-standardised incidence rate increased from 383 cases per 100,000 persons in 1982 to 484 per 100,000 persons in 2011. Mortality The number of deaths from cancer increased from 17,032 in 1968 to 43,039 in 2012. So the Statistics are pretty grim and what can we do? To understand the scale of this problem, we need to identify first how the problem started from the beginning. Let’s take as an example a typical person suffering from frequent bowel pain, diarrhoea and discomfort. The first reaction is to go check with his GP, where normally a few tests will be carried to identify the symptoms and give the condition a name. 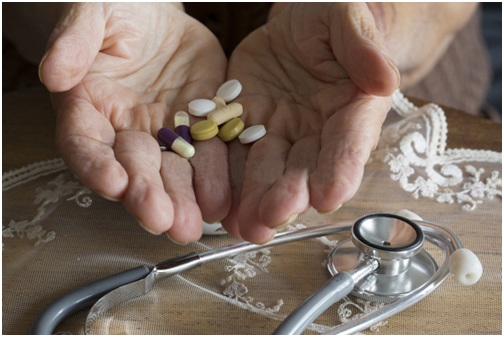 Once the disease is identified some medication will be prescribed to manage the symptoms and you will probably will be told that you need to learn to live with it. But this doesn’t stop the problems as the disease will progress and other symptoms will appear. Other illnesses or disease may emerge as well..